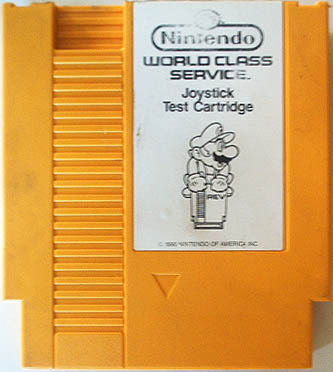 This Nintendo cartridge is used to test controllers for the Nintendo Entertainment System. A screen comes up with pictures of two controllers. When you press a button on the controller it lights up the corresponding button on the screen. This also tests the turbo feature on controllers.